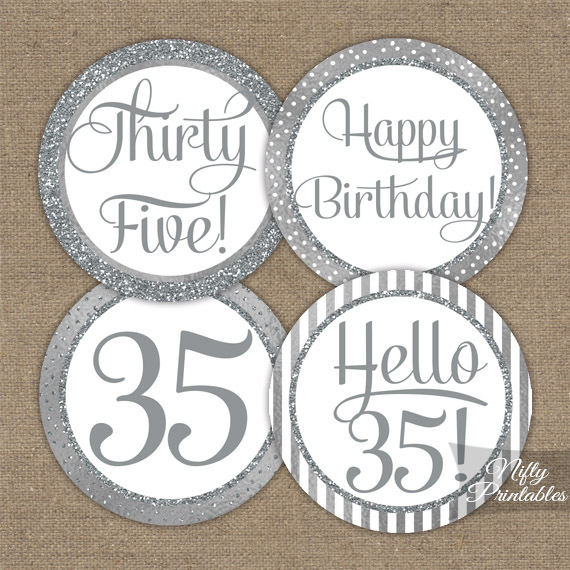 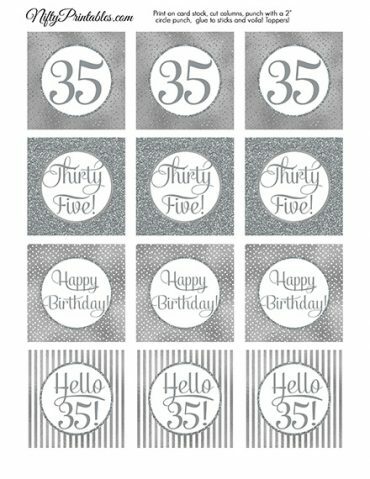 35th birthday cupcake toppers in pretty faux silver foil and silver glitter. 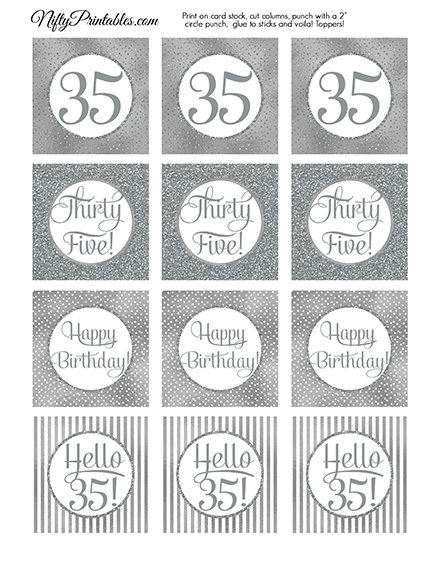 You Get: 1 PDF file with twelve 2.25" squares on the page to punch out with a 2" circle punch or cut square. Glue or tape sticks to the back for toppers or punch a hole and attach with ribbon for favor tags.